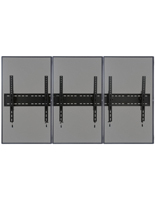 Durable steel enables this 3-TV tilt bracket to support triple flat panel monitors ranging from 30” to 60” with a maximum weight capacity of 264lbs. Each arm on the unit has a turn knob allowing users to tighten or loosen the tilting degree without the use of tools. 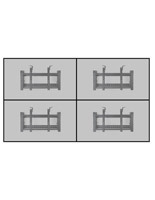 Steel tilt brackets such as this are found in universities, bars, stores, and more to display electronic messages and custom digital signs. 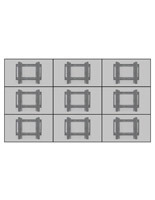 The arms can also move freely on the mount until tightened to line up the edges of your flat panel to create borders that virtually disappear. 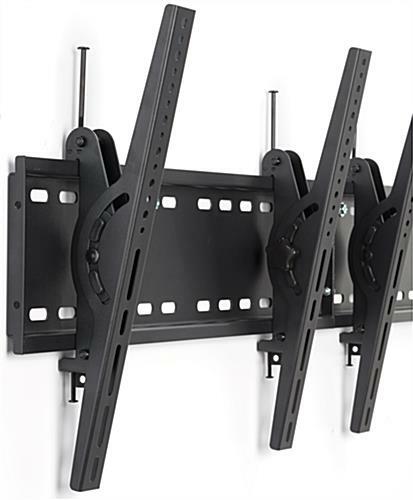 Each bracket is VESA compatible and comes with the necessary hardware for wall hanging and mounting of most televisions. 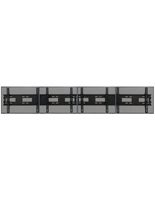 Step into the twenty-first century with this store fixture that can create an electronic video wall in nearly any environment. 106.0" x 18.1" x 3.0"